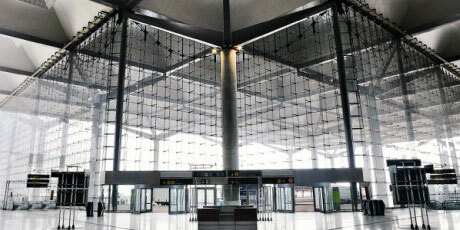 Malaga airport registered in may 1,3 million passengers. The performance of the airport is a major tourism thermometer in the Costa del Sol. When it increases numbers it means that the business expectations are good because there are more people in the destination and, for now, everything goes smoothly. In the first five months of the year have already passed through the airport, now officially named Malaga airport Costa del Sol in the statistics, 4.5 million passengers, representing an increase of 14.3% over the same period last year earlier, according to data provided by Spanish Airports and Air Navigation (Aena). The month of May was particularly positive. In that period the facility was used by 1.24 million passengers, 9.8% more than the same month last year. It has grown in the same proportion both the national and international tourism, while the weight of foreign tourists is much higher. British, German and French are the main customers of Malaga airport. Malaga consolidates again as the fourth largest airport in Spain and ratified the interest of airlines, having increased by 6% the number of operations. This summer Malaga airport will have 113 direct connections and there have been opened almost fifty new routes, for what is likely to be a good tourist season. Remember to check our prices for car hire from Malaga airport, we provide with a shuttle for pickup and return at Malaga airport.